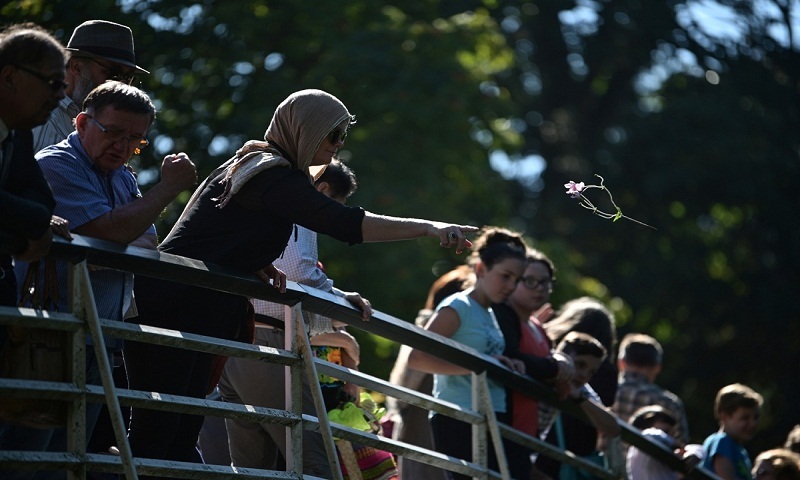 New Zealand will hold a national remembrance service on March 29 for the victims of the Christchurch mosque massacre and their families, the prime minister’s office announced on Sunday. The interfaith service will take place in Christchurch two weeks after an Australian white supremacist shot and killed 50 Muslims who had arrived for Friday prayers at two mosques in the city on March 15. “The national remembrance service provides an opportunity for Cantabrians (Christchurch-area residents), New Zealanders and people all around the world to come together as one to honour the victims of the terrorist attack,” Prime Minister Jacinda Ardern said in a statement. “In the week since the unprecedented terror attack there has been an outpouring of grief and love in our country. The slaughter has rocked the normally laid-back country and prompted horror worldwide, heightened by the gunman’s cold-blooded livestreaming of the massacre. Brenton Tarrant, a 28-year-old Australian, was arrested within minutes of the massacre and has been charged with murder.